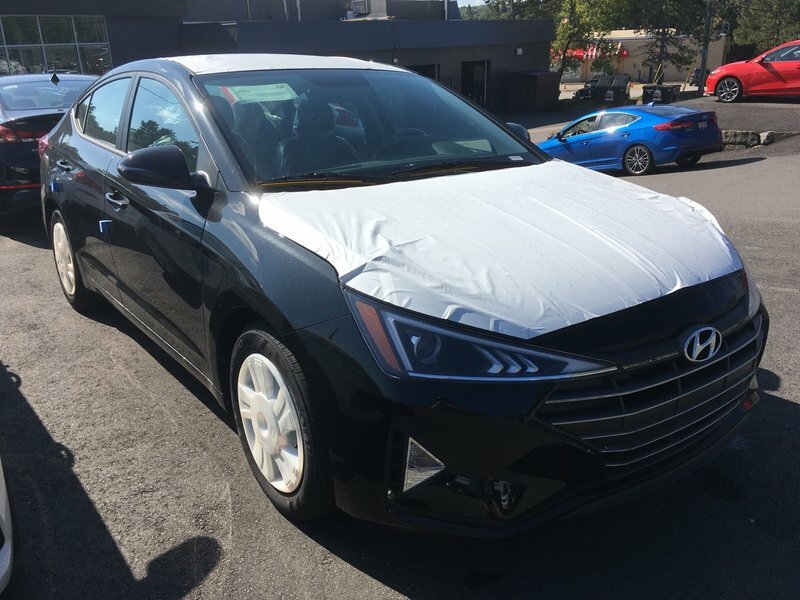 Reward yourself with our 2019 Hyundai Elantra Preferred Sedan presented in Space Black! Motivated by an innovative 2.0 Litre 4 Cylinder that offers 147hp while paired with a 6 Speed Shiftronic Automatic transmission. An ideal balance of power and comfort, our Front Wheel Drive sedan helps you reach near 6.4 L/100km on the highway with the kind of smooth acceleration you dream about! Improved aerodynamics and our signature grille make this sleek Elantra Preferred practically irresistible.